Masazo Nonaka, who was the oldest man in the world, died on Sunday at the age of 113, according to Japanese public service broadcaster NHK. Nonaka, a resident of Japan’s norther island of Hokkaido was born on July 25, 1905. He was officially named the oldest man by Guinness World Records in April 2018 at the age of 112. His grand daughter Yuko said that Nonaka’s death wasn’t caused by any specific health problem. “He went peacefully and that’s at least our consolation,” she told Guinness. 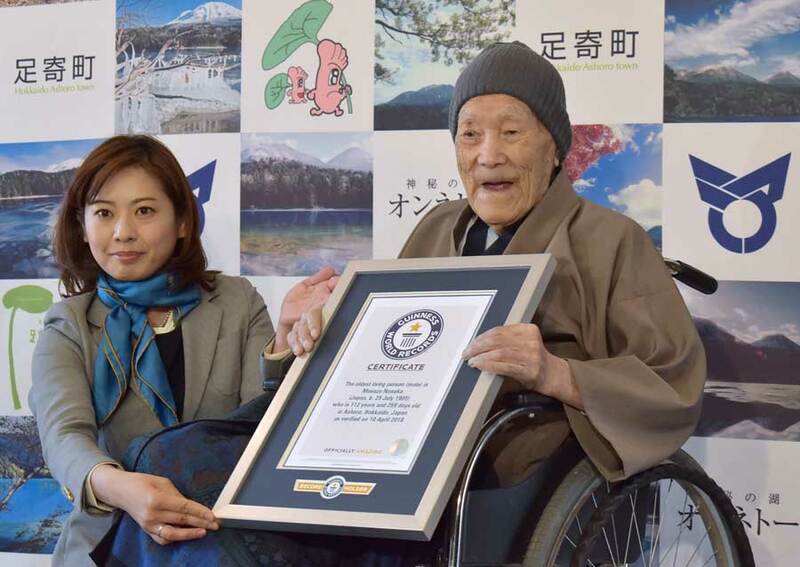 According to Guinness the supercentenarian spent his retirement years reading newspapers, eating sweets and cakes and watching TV, particularly sumo wrestling. In his working days, he ran the family inn, which he first took over in 1925. That same inn, now a Bed and Breakfast run by his granddaughter, was where Nonaka spent much of his later years with his family. When Guinness asked for his secret to longevity, Nonaka attributed it to soaking in hot springs and eating sweets. Although, his daughter believed it had more to with his stress-free approach to life. The oldest ever living man was Jiroemon Kimura, a Japanese man who lived to be 116 before his death in June 2013.